My good friend and Trumpeter extraordinaire, Steve Madaio recently called me to turn me on to a new CD he had just listened to that he thought I had to hear. 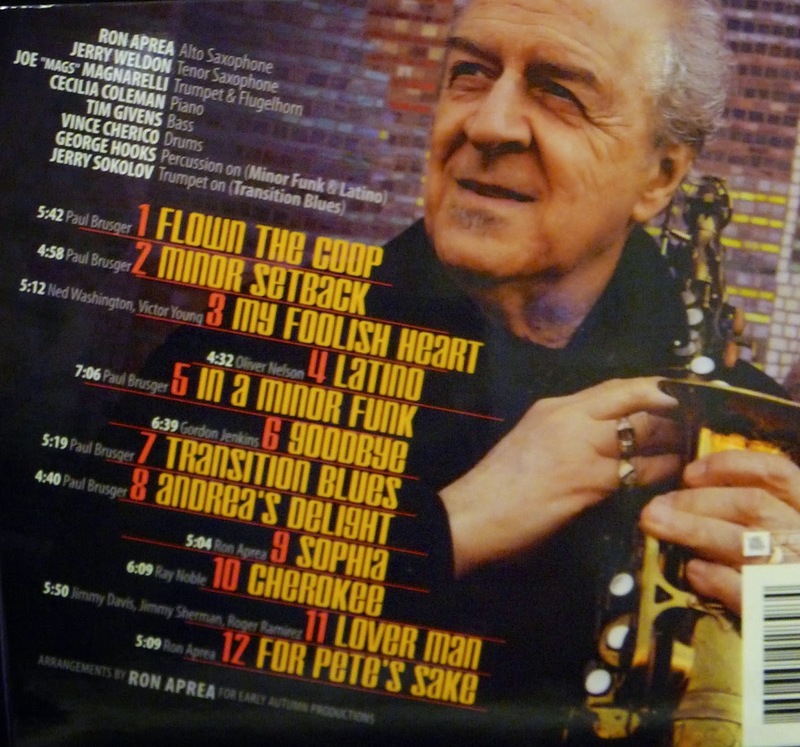 The CD was "Remembering Blakey, A Tribute to Art Blakey" by The Ron Aprea Sextet. This was all I needed to peak my interest. First, if Steve is impressed by another Jazz musician, I have to hear the player myself. Second, when I was 16 years old and just getting into the Jazz scene, I still remember traveling from Northern NJ to New York City almost every weekend to hear Jazz at Birdland. I remember the great sounds that I heard there from Art Blakey and his Jazz Messengers. Blakey was in the center of the growing musical world of "Bebop" music. He played with many young musicians in his group over the years with an unbelievable number of these musicians became Jazz Giants. His list of alumni included the giants of Jazz: Miles Davis, Bud Powell, Thelonious Monk, Charlie Parker Clifford Brown, Lou Donaldson, Wayne Shorter and Cannonball Adderley just to name a few. This was the music that I loved as a young teenager, and I have never lost this love. As soon as I put the first cut on, "Flown the Coop" it was like coming home for me. Ron Aprea who grew up in the NY/NJ area has put together all the arrangements on this wonderful CD that would surely have put a smile on Art Blakey's face. Ron Aprea plays alto sax with supreme emotion and fabulous dexterity on his creative improvisations that even someone who had no knowledge of "Bebop" would admire. The tone Ron creates with his alto reminds me of the sounds from Cannonball Adderley's "The Lush Sounds of Cannonball Adderley with Strings Album". 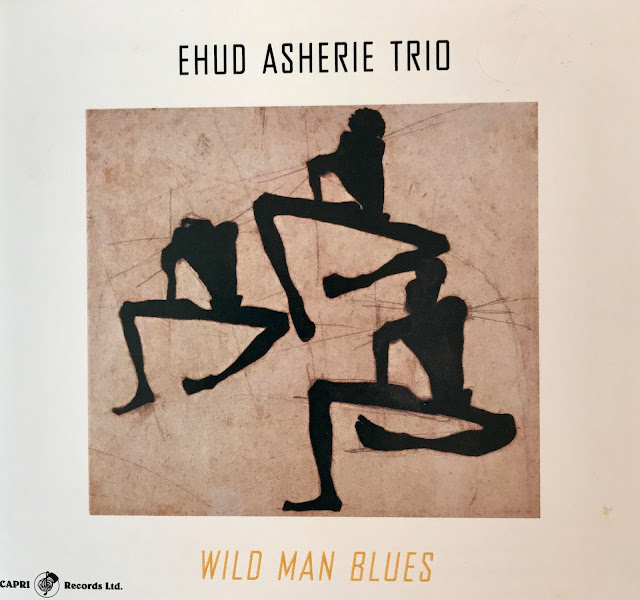 Listening to his first two cuts on this CD, I closed my eyes and was transported back to listening again to Art Blakey and some of the best "Bebop" Jazz the world has ever known. But Ron Aprea is not just about "Bebop". Ron can make his alto cry when playing slow classic ballads like "My Foolish Heart", "Lover Man" and a beautiful tune he wrote called "Sophia". These three tunes will haunt you for days after you listen to them even one time. There is also a standard written by Gordon Jenkins that Ron just kills with an improvised solo that you will seldom hear even from the best of alto sax players. This is not just my opinion. I have learned that Ron Aprea's "Goodbye" is being considered for a Grammy for "Best Improvised Solo" in a Jazz category. In my opinion the winner is: "Ron Aprea" by a mile. It is with great pleasure that I am attaching a YouTube of Ron playing this great cut from his CD. I hope you all feel the same after hearing this cut. I would love to get some feedback from my readers. Ron Aprea currently lives in New York. This is a Jazz CD you need to get for your collection!